On the first verse, the 36-year-old artist confesses she's been in a major funk lately, sitting alone in her bedroom and "hating" on everything she sees. But then, she puts on Ellen, and suddenly her entire outlook on life changes! Or something like that. Honestly, the song's narrative doesn't make a ton of sense, but its chorus is super catchy, so I suggest you just go with it: "Today's the day I've been waiting for/Tomorrow won't come after all/Yesterday's so far away/This today's the only day/Somebody please stop the clock, oh-oh-oh/Don't ever let this day stop, oh-oh-oh/I never wanna go home, no-oh-oh, no-oh, no, no, no." Check out "Today's the Day" below. 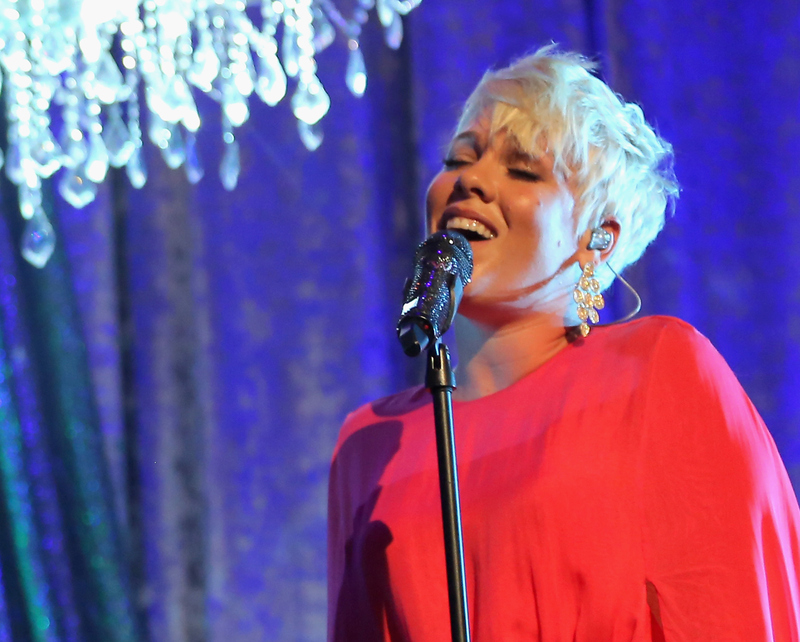 There's no word yet on when Pink is planning to release a new album. Her last studio effort, The Truth About Love, premiered in Sept. 2012 and launched three hit singles: "Blow Me (One Last Kiss)," "Try," and "Just Give Me a Reason." I'm definitely looking forward to hearing her voice on the radio waves once again — I just want her to step out of her comfort zone more often. Hopefully, she won't keep her fans waiting too much longer. "Today's the Day" is available on iTunes now.